Leroy Sane thinks Chelsea forward Eden Hazard is as good as Lionel Messi, calling them footballers ‘no one else can currently compete with’. 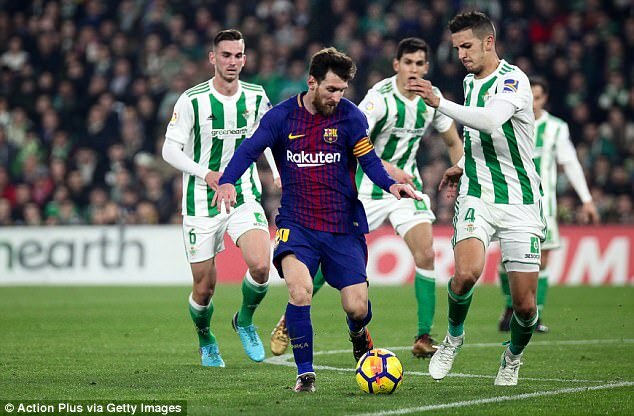 The Manchester City forward was asked if he feels he is on a par with Messi, after a superb season so far for the runaway Premier League leaders. Sane does not feel he is there yet, and instead named the four footballers he thinks are the best in the world right now – Messi, Hazard, Neymar, and Cristiano Ronaldo. Speaking to German newspaper Welt, Sane said: ‘No, I’m still far from being on their level. In the whole world, only a few players are. ‘Messi, Ronaldo, Neymar and Hazard are on a level no one else can currently compete with. The achievements of Ozil and Cavani are incredible, too. Interestingly, no Man City player made Sane’s list, despite the incredible form this season of the likes of Kevin De Bruyne and Sergio Aguero. 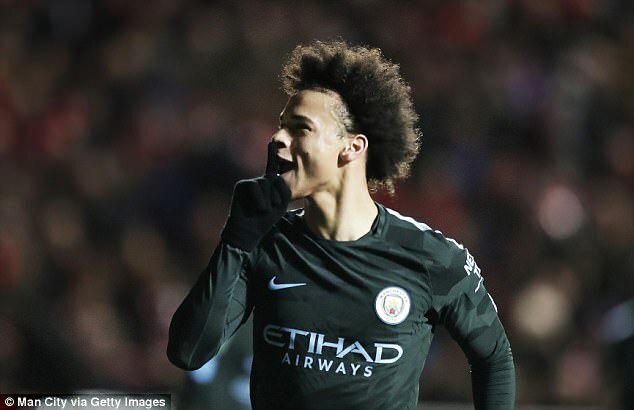 Sane also revealed a single phone call from City manager Pep Guardiola was all it took him to turn down a move to Bayern Munich and move to England from Schalke instead. He said: ‘When Pep called me and told me that he wants me on his team, I instantly knew. I had followed his time at Barcelona and at Bayern, and I played with Schalke against him. I recognised that he makes every player better.